For the last three years, Canadian and Albertan politicians have toured the great cities of America and Europe, with one mission. 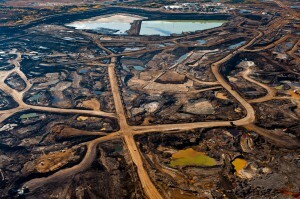 To persuade the world that we could exploit the tar sands in an “environmentally responsible” way. To many people, the concept of strip mining Alberta, and exploiting this dirty carbon-intensive fuel and then trying to greenwash it as green, is a disgraceful misnomer that has to challenged at every level. But as they have toured the capitals, the Canadian politicians have argued that they are making progress in reducing the tar sands toxic legacy. Albertan Premier, Alison Redford, has argued that Albertans would have “world class environmental stewardship” of the tar sands. They can have their carbon cake and eat it responsibly, they say. But, as so often in the past, Redford and her fellow Canadian politicians have been playing fast and loose with the truth. Enter the respected Pembina Institute, one of Canada’s leading environmental watchdog organisations. They have just released an update on the progress of some 19 recommendations they made two years ago on how there could be “responsible” tar sands development. They have found that “very little progress has been made on the recommended policy improvements”. The Canadian press is non-plussed: “Tailings ponds are expanding, greenhouse gas emissions are set to double by 2020, and there is a seven-year delay in a promise to restrict water use from the Athabasca River at key low-flow times,” reports the Edmonton Journal. 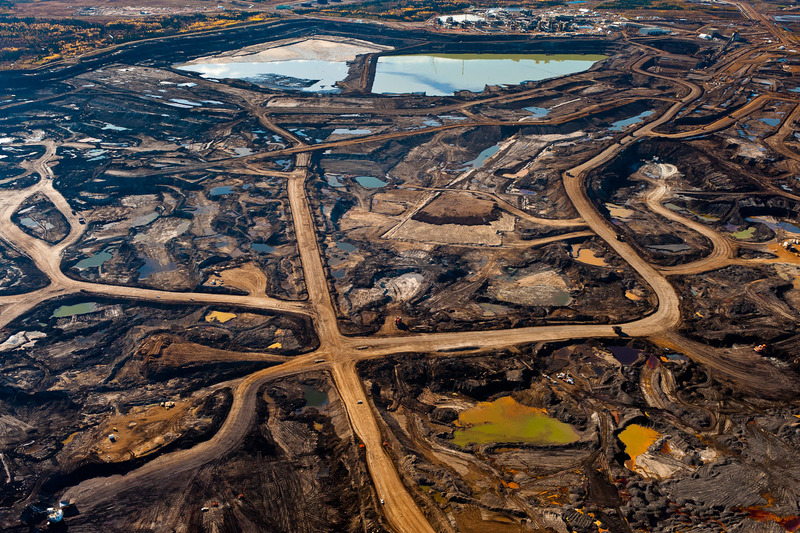 Pembina’s report lays bare how little progress has been made to improve the environmental impact of the tar sands. Over the past two years, substantial progress has been made on only two of the nineteen recommendations. And progress on one of those two is debatable. The Pembina Institute argues there was a need to monitor the impact on biodiversity. Well, the Joint Canada-Alberta Implementation Plan for Oil Sands Monitoring was announced in 2012. Indeed the plan still is far off from being perfect: “Independent governance free from industry and government influence, plus a long-term and sustainable funding model, are the final key pieces that will determine the success of the plan,” says Pembina. So I would argue the jury is still out on that. So the real one partial success could be the fact that the new Lower Athabasca Regional Plan, or LARP, which was released in August 2012, has increased the percentage of the land in the area that is protected from industrial activity to over 20% of the region. But Pembina was originally asking for 50 per cent and the land has not been legally protected. Well that was the good news. There has been “limited progress” on the following: protecting the Athabasca River, raising the pollution levy; mandating Carbon Capture and Storage for tar sands development; setting land disturbance limits; establishing compensatory offsets for impacts to biodiversity and wetlands; reduceing reclamation liability; protecting woodland caribou; managing groundwater withdrawals; enhancing surface water monitoring; cleaning up tailings; and prohibiting end pit lakes. All in all it’s not looking good. Simon Dyer, policy director at the Pembina Institute, argues that Redford’s recent greenwashing speeches to Washington audiences “ring hollow” given this lack of progress. He argues “The Government of Alberta needs to move urgently to deliver on its overdue commitments” and finally implement the recommendations outlined in the report. Destroying another environment to get a little dirty oil for dirty energy. What greed and carelessness. Building another huge Mexico City, hey? Canada’s shame there and lack of decent leadership. Shame. Greed.